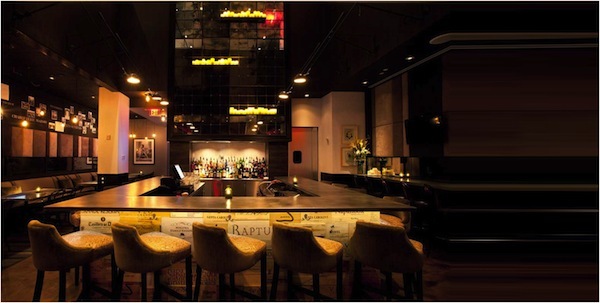 The restaurant Philippe is at one end of a contemporary multiuse building in Houston’s upscale Galleria area. At the other is the very popular RDG + Bar Annie from the city’s most famous chef, Robert Del Grande. Valet stands just thirty yards apart both see a heady percentage of shiny vehicles with provenance in Stuttgart or Modena. As two appealingly designed restaurants with ample bar areas and acclaimed chefs—Philippe Schmit is at the former—each provides a ready complement for the other. Phil’s Wine Lounge gives Boyd an additional venue to shine, and wine and food lovers another reason to visit. It has a wines-by-the­-glass list of over 85 wines that provides numerous interesting choices among top Old and New World producers. It is a list that is “expertly curated” and according to Boyd herslf, features “esoteric producers along with some standards.” Naturally, that also describes the wine list at Philippe upstairs. Nicholas Joly and Lioco join the more familiar Roederer and Joseph Phelps. Like Philippe Schmit’s cooking, which incorporates flavors and preparations from well beyond the borders of France, the wine list is not strictly Gallic. Though Boyd believes people should “drink more champagne” and there is a proper emphasis on Burgundy at Philippe, French wines make up less than 40% of the 200 or so non-dessert bottles. It is around 30% at Phil’s Wine Lounge. Many wine bar patrons including those in Houston, might, at first, have a fruit-forward New World wine in mind. 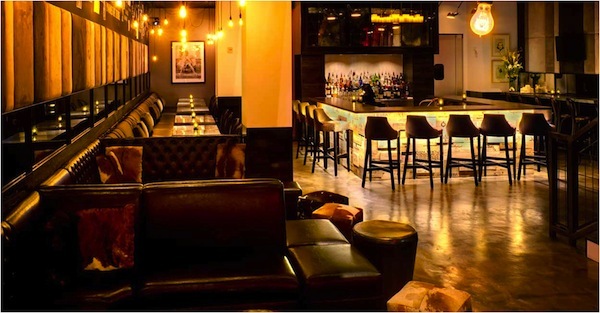 Phil’s Wine Lounge can satiate those visitors while providing many other avenues for enjoyment. If not necessarily from France, Boyd still opts for wines with enough acidity to be food-friendly while retaining a good amount of drinkability on their own. Selections are shown under nine very useful categories like “White Wine: Spicy, Floral, Aromatic“ and “Red Wine: Bold & Brazen.” If customers have questions or concerns, Boyd’s advice is “trust the bartender,” as the staff is well trained and helpful. One of the inspired selections is a Txacolina Xarmant Arabako ($12 a glass). Whites from this Basque region of Spain might be a current trend among sommeliers, but this one pairs well with the often hot and humid Houston weather. With some initial effervescence, evident minerality, and a fairly long finish, at 11.5% this makes for a terrific aperitif and accompaniment for the lighter fare on the menu. Another is the unique Királyudvar Tokaji Furmint Sec ($14 a glass). Also, an Aligoté from de Villaine ($16) joins the much better known white Burgundian varietal, Chardonnay, from Mâcon and elsewhere. There are Burgundies of the red sort like de Montille ($19), plus five American expressions of Pinot Noir, including the Au Bon Climat ($13). And, Cabernets, of course, from Freemark Abbey ($17 a glass) and elsewhere. With the diversity in wines, aiding ability to expand horizons, they offer fifteen or so glasses priced under $10. Overall, prices run from $7 to $33, with an average of just under $14 for a 6-ounce pour in a nicely oversized glass. The bar serves wines in a range of stemware, appropriate to the style of wine. The median bottle price at Philippe upstairs is only $79. Phil’s Wine Lounge is both a stop before dinner upstairs and, more so, a destination in itself. A staircase leading to Philippe divides the warm and lowly lit self-contained space with a seating capacity of about eighty. On one side, low-slung sofas are arranged to provide intimate seating for several small groups. Petite tables are paired with chairs and a long banquette, which extends to a short corridor where “Breathless” was playing on a wall during a recent visit. On the other is a large community table. There is also a substantial three-sided bar with a fair number of seats. Phil’s Wine Lounge has a number of spirits and more than a few specialty cocktails, in addition to the excellent, wide-ranging wine list. Associated with a highly praised French-themed restaurant—Philippe Schmit was recently inducted as a Master Chef of France—the accompanying food is a step up from the typical wine bar, too.